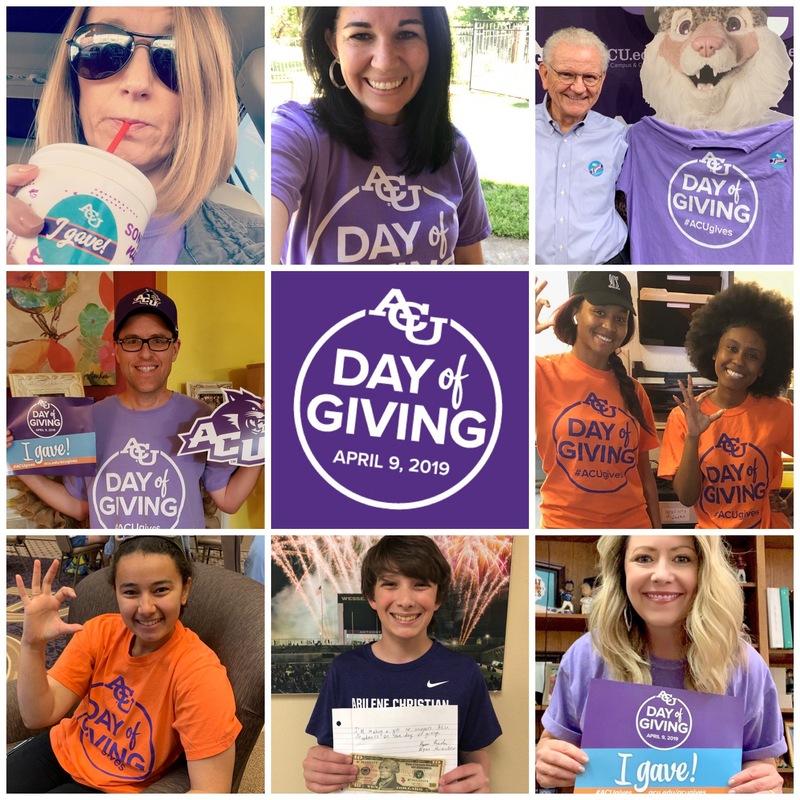 The ACU community broke a record for the university’s third Day of Giving on April 9: ACU received more than 1,000 gifts that, thanks to matching funds, totaled more than $268,000 to help current students. That’s the most gifts given in a single day to the university in its history. Gifts received will support students in one of four areas: funding for academic, leadership and financial need scholarships; the Katie Kirby Student Care Fund, which provides critical, immediate resources to students in need; the Exceptional Fund, which meets ACU’s greatest needs and provides ongoing funding for scholarships, faculty and programs; and the Wildcat Annual Fund, which helps support ACU Athletics and student-athletes. “Day of Giving is a special way for members of the ACU community to rally around our remarkable students and remind ourselves of the important history and traditions that connect us,” said Craig Fisher (’92), assistant vice president of alumni and university relations. The day began with the goal of inspiring 750 gifts, and that number was reached by 7 p.m. A stretch goal was extended by a group of donors: They would add $50 to every gift made until 1,000 gifts were received, Orr said. The day also benefited from matching gift challenges sponsored by several donors, Orr said: $50,000 was added to the total once $50,000 was raised, and $25,000 was added both when the 500- and 750-gift totals were reached. The Office of Advancement incorporated its Project Gratitude event for the day, and more than 500 students came by the Day of Giving “command center” in the Hunter Welcome Center to write more than 1,000 thank you notes to Day of Giving donors and benefactors of endowed scholarships. ACU’s third Day of Giving results surpassed those from the event’s first two years. In 2017, more than 925 gifts were received totaling more than $140,000. In 2018, ACU received more than 770 gifts totaling more than $216,000 thanks to matching funds.